But, even though the cost may be great, a few brave souls are still willing to speak out about the health hazards foisted upon us by the powers that be. Dr. David Kennedy, a biological dentist, recently called water fluoridation a “public health fraud,” and his description couldn’t be any more correct. First and foremost, fluoride is not an essential nutrient. Humans do not, and never will, need fluoride to be healthy. In fact, quite the opposite is true: Fluoride is a highly toxic substance. That’s why there is a poison warning on toothpaste and other fluoride-containing products. As Fluoride Action Network explains, fluoride has historically been used as a pesticide — and that’s why consuming too much fluoride in one sitting can lead to serious poisoning, and even death. But the dangers of fluoride don’t end with the acute. Long-term, there are many other negative side effects to be had. Dental fluorosis and skeletal fluorosis are the two most obvious forms of harm. Experts have noted that by the time fluoride has been deposited in bone tissue, it is very likely that other forms of less detectable damage have taken place. For example, studies have shown chronic fluoride consumption can lead to arthritic pain and an increased risk of fractures — even before skeletal fluorosis has set in. Mother Nature's micronutrient secret: Organic Broccoli Sprout Capsules now available, delivering 280mg of high-density nutrition, including the extraordinary "sulforaphane" and "glucosinolate" nutrients found only in cruciferous healing foods. Every lot laboratory tested.�See availability here. There are also substantial concerns about the effects lifetime fluoride consumption may have on the brain and thyroid. Multiple studies have shown that fluoride consumption can cause brain damage and lower IQ in children. A 2012 tudy piloted by Harvard Medical School found that water fluoridation was linked to lower IQs and adversely effected cognitive development in children. Senior study author Philippe Grandjean commented on the findings. “Fluoride seems to fit in with lead, mercury, and other poisons that cause chemical brain drain [emphasis added]. The effect of each toxicant may seem small, but the combined damage on a population scale can be serious, especially because the brain power of the next generation is crucial to all of us,” he stated. The evidence of harm is clear — yet nothing is being done to roll back water fluoridation efforts. The danger is real folks; water fluoridation is nothing more than a scheme to dumb down the masses and make people sick. In reality, water fluoridation is a crime; it’s not just a form of mass medication, but rather, mass poisoning. 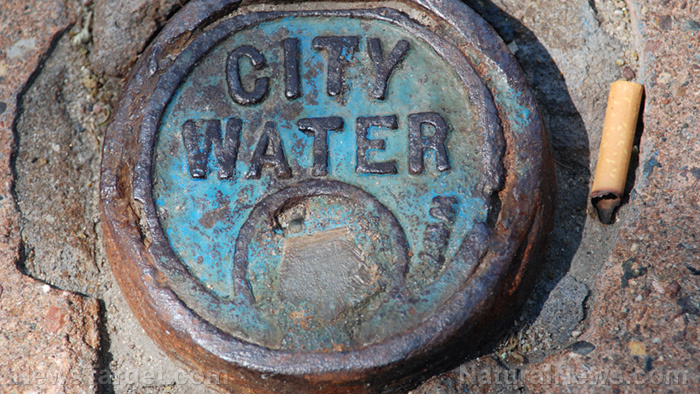 There is no reason for this toxic substance to be added to public water supplies. You can learn more about local efforts to end water fluoridation here. For more information about the dangers of fluoride and the public water poisoning scheme, read on at Fluoride.news.